How do you know if it is the right time for vinyl replacement windows and doors for your home in Federal Way? The best way to make this decision is to talk with an expert, such as the team here at Signature Window & Door Replacement. When you contact our company, we will schedule a time to come to your home so that we can inspect the doors and windows that are currently in your home. It is important that you have high quality windows and doors, because they impact the overall appearance and quality of the property. If you sacrifice on the durability and quality of the products that are installed, then you might be facing other problems as a result. For example, low quality or old windows make it hard to control the temperature inside. These old windows can be drafty, which has a negative impact on the energy efficiency of your home. If you want to reduce your monthly utility bills, then you need to choose vinyl replacement windows as soon as possible. Cost of Materials: Initially, you will save money on the installation because vinyl windows are much cheaper compared with other options that are available. Utility Bills: The improved energy efficiency of your home will help you to save money every month. You will see that your utility bills will decrease after these energy efficient windows are installed. Home Value: If you want to maximize the value of your home, then you need to make sure that a few upgrades are made along the way. High quality windows can increase the price when the appraiser comes to inspect your home. Maintenance and Repairs: How much money are you spending on the products that are needed to upkeep old windows and doors? It can take a lot of time and effort to sand down the frames and repaint on a regular basis. Instead, it is better to upgrade your windows and skip the ongoing maintenance projects. As you are comparing the costs for vinyl replacement windows, it is essential that you understand the value that will be received for the money that is spent. Some homeowners are simply looking for the cheapest replacement windows that they can find, but they might make the mistake of sacrificing quality in order to save a few bucks. Instead of only looking for the cheapest price tag, it is better to consider the products and services that you will be receiving so that you can choose the best value for your home. 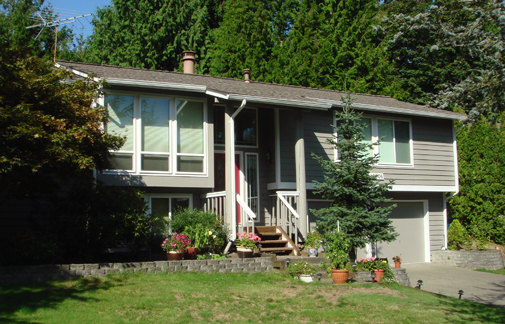 It might seem like an inconvenience to have replacement windows and doors installed in your Federal Way, WA home. But, it is worth the time that will be required, because you will be able to enjoy many benefits after these new windows are in place. At Signature Window & Door Replacement, our goal is to help you improve your home as quickly and efficiently as possible. We will work hard to stick with the planned schedule. At the same time, we will try to minimize the amount of time that we need to spend in your home, in order to reduce the construction time so that we don’t disrupt your daily lifestyle. If your windows are old, then right now is the best time to get started with vinyl replacement windows and doors. You will see that there are a variety of colors and features that you can choose from, which will allow you to create the home that you have always dreamed about. We want to make your dreams become a reality, and we know that vinyl replacement windows and doors can make your home more comfortable and stylish at the same time. You will receive top-notch customer service when you work with our team at Signature Window & Door Replacement. We are always focused on the customer, and our goal is to provide the right types of windows and high quality installation service.